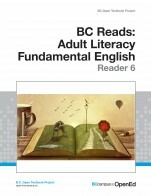 BC Reads: Adult Literacy Fundamental English - Reader 6 by Shantel Ivits, Vancouver Community College is licensed under a Creative Commons Attribution 4.0 International License, except where otherwise noted. The text thoroughly covers all areas and ideas of the subjects of storytelling in a digital context. The interspersed digital story spotlights are helpful in a variety of ways. They come with accompanying narrative explaining context to the reader. They provide project inspiration for the students and they also serve to excite the students about making their own videos. The text draws on specific examples from the videos. Listed activities give precise step by step details to ensure success. Regularly images are used to reinforce understanding. The table of contents is well laid out and the reader is able to reference the table while reading the text. Throughout the textbook, words which can be found in the glossary are highlighted. It is comprehensive. 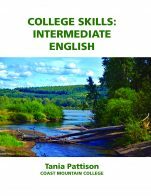 As an creative writing instructor and working writer as well as someone who has previously taken a Digital Storytelling class; I found this textbook accurate, concise, error-free, and easy to reference. It would have saved me a lot of time if it had been the text used in the Digital Storytelling for Educators class I took. The author also does a great job of show-casing a wide variety of voices and using language sensitive to all readers. Because of the clear, well-laid out structure, the book will be easy to edit if links to videos become obsolete or new software references need to be made. 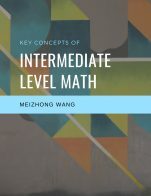 It condenses a large amount of new information to the reader in an accessible way and will likely result in a whole new skill set being learned by the end of the reading. The text flows smoothly and students are referred back to their own projects throughout the text, making it engaging and informative read. The glossary is comprehensive and each technical step is explained well, with additional video and image supports. It is laid out in chronological order, helping students to build their digital storytelling project as they work through the text. The same tone and approach is used throughout. The structure is consistent in terms of formatting. The videos are interspersed at regular interval and each build on the previous lesson. The activities and learning processes (ie. "read instructions, answer check your understanding questions, and try the steps yourself") are consistent throughout. The text is evenly broken up into chapters that arrive in logical order and are easily found through an organized table of contents. The text draws on a wide variety of reputable sources which are cited in the Bibliography. Each chapter is nicely handled in terms of structure. It is concise, visually appealing with plenty of white space and similar sized paragraphs and sections throughout. The text takes the students through the components of storytelling using examples from digital storytelling videos, but does not add in video how-to instructions under later in the text. This is valuable for the learner who is new to both storytelling and digital platforms and technologies. The text presentation follows a clear and logical order. Students are taking in a large amount of new information which goes beyond theory to new skills to acquire. Because of this, it is essential that the text be clear, approachable, and in a building block format. The text is professionally presented. All charts, images, and videos do not provide any interruptions in the reading. They present as similar size and resolution making the reading experience flow smoothly. This text does a great job of being inclusive in language throughout, even including the about the author section. As well, it informs students through examples of a variety of races, ethnicities, and backgrounds by inclusion of video stories told in first person. 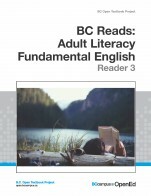 This text is a great resource for BC Post-secondary institutions, especially ones interested in promoting inclusive values and a variety of voices. 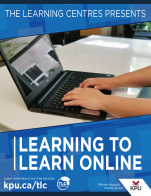 It would be appropriate to use in ABE Education and Career Planning, ABE Computer classes, Digital storytelling classes, and Introduction to Creative Writing Classes.